Blog Home The Biggest St. Patrick’s Day Celebrations in the U.S. The St. Patrick's Day Parade in New York City is not only one of the oldest parades in the United States, it's also the largest. At almost six hours long with more than 2 milllion attendees and 100,000 participants, this is the parade to attend if you're looking to go all out for St. Paddy's Day. The parade does not allow any floats or cars, and instead features a variety of performers including Irish dancers and bag pipe players. Although Savannah only has a population of 150,000, it has the second largest St. Patrick's Day parade behind New York City. In addition to the parade, this historic southern city also hosts a three-day long St. Patrick's Day festival. If you arrive in Savannah early, you can also check out the famous "Greening of the Fountain." In the week leading up to St. Patrick's Day, Savannah dyes all of its fountains green, starting with the famous Forsyth Park fountain. While a neon green river might normally warrant a call to the EPA, in Chicago it just means it's St. Patrick's Day. Every year, thousands of St. Patrick's Day revelers gather downtown to watch the Chicago Journeymen Plumbers Local Union 130 dye the river. The green vegetable dye only lasts five hours, so if you're looking to catch a glimpse of the river, be sure to get there early. If that's not enough celebration for you, walk a few blocks east to Michigan Avenue to watch Chicago's downtown St. Patrick's Day Parade. With almost a quarter of Boston's metropolitan population claiming Irish heritage, you would be right to think that St. Patrick's Day is a big deal here. Always celebrated the Sunday closest to St. Paddy's, the holiday festivities begin with the traditional St. Patrick's Day breakfast, a political roast featuring politicians from across the state. 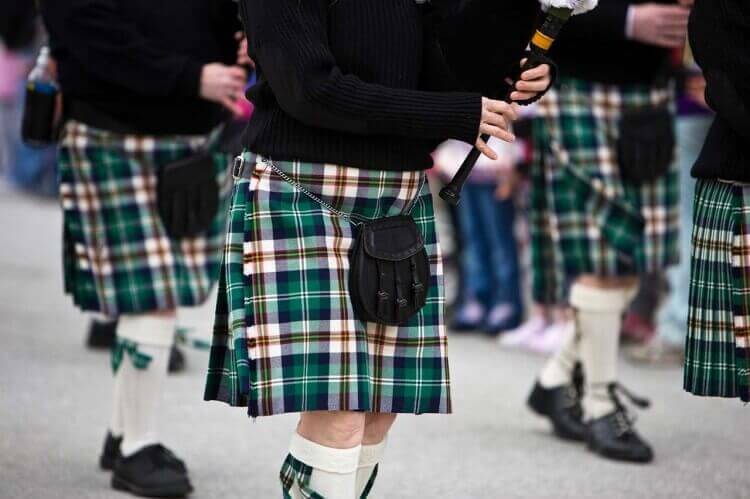 The parade takes place early in the afternoon in the South End neighborhood of Boston, also known as "Southie" if you're a local, and features bagpipes, brass marching bands, embellished floats, Irish dancers, and more. If you're looking for a more adult way to celebrate, Boston is also famous for its endless number of St. Patrick's Day bar crawls.